Starting September 1st 2011, the City of Dallas started using 3rd party Green Building inspectors to perform Green Building Inspection on new construction, additions, alterations, renovations and finish outs on residential and commercial properties. 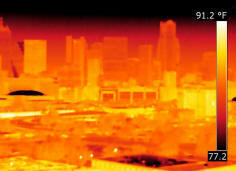 This is part of the Dallas 3rd party inspection program which also includes Dallas Energy Inspections. The Dallas 3rd party code inspection program requirements have been incorporated into the Dallas – Green Building Program Application Checklist. There are three designated categories for property classification in the Dallas Green Building Program. Each classification has different requirements, forms and checklist. Each classification has a separate inspection checklist. All related documents for each classification are located on the following Dallas Green Building links. The Dallas Green Building program requires close integration with the Dallas Permit process. The Dallas Green Building designation needs to take place early in the permitting process to minimize problems. There needs to be a Plan Review to assure that the proper components are built into the plans. The Dallas Green Building inspection company is then designated with the city within the permit. Master permit are issued by the City of Dallas and include the various permit fees for each city inspection department. The fee for the Dallas Green Building permit is typically $100. If the fee is not paid up front to the City of Dallas, then that permit fee will be collected by the Green Building inspection company and then paid to the City of Dallas. The Dallas Green Building plan review is not performed by the City of Dallas, but by the Green Building Inspection company. Delivery of these plans will be by online upload from this site. All plans will be reviewed within 48 hours and comments provided to assist plan compliance. The designation will be recorded and the 1st notarized affidavit is sent to the City of Dallas Building Department. All required fees are paid by credit card at the time of the Plan Submittal. The Dallas Green Building program has elements of energy conservation and water conservation that each have specific inspection and compliance aspects. Some construction projects only require limited inspections so these services are available separately. By combining services and inspections the fees can be minimized. Discounts on fees are available when multiple Green Building designations are assigned. Inspection can be scheduled with 1 day notice. Same day inspections are available. The Dallas Green Building Program incorporates the 2009 International Energy Conservation Code (IEEC) and it has specific requirements for documentation to prove compliance. The City of Dallas requires that an Energy report be generated to create a digital profile of the property. That report will specify the energy components used in the project. Only newly installed components must comply with the 2009 IECC requirements. The software to generate these reports are available free online at the following links or A Closer Look Inspection Service can generate the report for a fee. The report must be generated at the Plan Review phase before construction can begin. If you submit your own report, it will be reviewed and any reports that are improperly generated will be rejected. There will be a $25 fee applied for each rejected report with comments to assist in making the report comply. An accurate report must be generated before the next affidavit is generated. The following links will take you to websites that you can use to generate your Energy Report and are free. 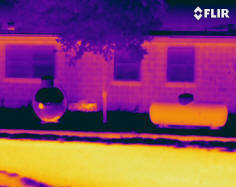 The property must then be inspected after the insulation is installed and before the sheet rock is installed. All energy components will be inspected at that time. 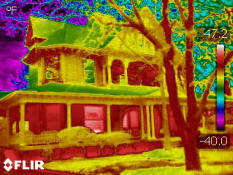 If blown in attic insulation is installed, then a second inspection will be necessary when that component is installed. The City of Dallas is currently on a modified version of the 2006 IECC for residential construction. They will move to the 2009 IECC on January 1st 2012 for residential construction. 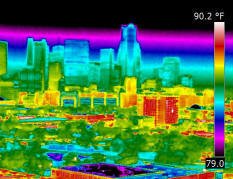 The City of Dallas is currently on the 2009 IECC for all commercial construction. The following links will take you to PDFs that cover requirements for the 2009 IECC for Residential or Commercial construction. Residential water conservation requirements are established with the Single Family or Duplex Checklist for new construction. The structure must meet 4 of 6 requirements to receive the Green Building Residential certificate. Two of those 6 options is the use of an Energy Star Dishwasher and/or Clothes Washer which has to be installed at the time of inspection to be available for compliance. For Commercial properties less than 50,000 sq ft, the Dallas Green Building program has checklist requirements for flat and low sloped roofs (> .65 Solar Reflect Index at installation and >.50 after 3 years), exterior light pollution reduction, 20% water use reduction (by a design professional certification) and energy performance documentation (Energy report using Com Check for the new or altered components). For Commercial properties larger than 50,000 sq ft, there is a Commercial Checklist using a LEED’s score generated by different tactics used to improve the sustainable categories of the building. Scores run from 20 to 38 depending on the type of commercial building. Send us your building plans with some basic information about your building and we will review the building plans. You may submit your plans via email or upload to secure FTP for files larger than 2MB.